Posted on May 4, 2017 at 9:00 am. A garbage disposal is a great addition to the kitchen as it provides unmatched convenience to homeowners. When working at its optimal level, it becomes super easy to cook food and clean up the mess by tossing the waste like peels and scraps into the garbage disposal. However, with time, the performance of your garbage disposal may lower, and this is when you should call a plumbing service in Cleveland, GA to get your unit inspected and repaired. You may have to call a plumber in Cleveland, GA if your garbage disposal begins to make loud and strange noises, when it is being used. Repairs are also needed when the garbage disposal starts to make rattling and grinding sounds. These sounds occur because the metal object like a spoon that you might have accidentally dropped inside the garbage disposal unit obstructs the unit to function properly. Other reasons for such sounds can be loosened or damaged components. The underlying reason of the noisy unit can only be determined by a professional and experienced plumbing company in Cleveland, GA. If you see water leaking out of your garbage disposal, then this indicates an urgent need for repair. Sometimes replacing a seal resolves the problem but in most cases, leaks indicate serious problems and therefore, it is advisable to get your unit checked by the experts. Water leakage may occur at the rings which are normally installed at the sink flange (the drain hole). Upon inspection, the plumber in Cleveland, GA will determine whether it is a quick or a serious repairing job, such as does it require tightening or does the putty need to be applied again and correctly. Water leaks can also occur if there is a hole in the garbage disposal. This happens when the wall of the unit tears and wears down or an object gets stuck inside it. Other reasons can be loosening of the dishwater connection or a damaged gasket. Tossing potato peels, starchy food items, banana peels, fibrous foods and even coffee grounds can clog and block your garbage disposal unit. And as a result, it stops to function at its optimal level and even shuts down, automatically. In such a situation, it makes sense to call a plumbing service in Cleveland, GA and get the unit inspected. A plumber can easily fix your unit and unclog it right away. Another sign that may trigger the need for repair is when your garbage disposal unit gets jammed. This happens when something comes in the way and blocks the unit’s flywheel. The blockage is mostly because wrong food items are pushed down and through the garbage disposal which get stuck inside the machinery. When the unit gets jammed, it starts to make a humming sound. To fix this issue, you will have to schedule for a plumbing service in Cleveland, GA. A plumber will visit your home and determine the main reason why your unit is jammed and fix it accordingly. Most homeowners use chemical agents and hot water to beat the bad odor when their garbage disposals begin to smell awful. If your unit also smells bad and you’ve tried using chemical agents to get rid of the stinky odor and have had no success, then you might have to call a plumber in Cleveland, GA for the job. The bad smell from your garbage disposal basically means that your unit is not properly chopping the food and that there are some drainage issues with it. Other reasons for this can be that the blades or components of the garbage unit have worn out. Calling a professional plumbing company to inspect your garbage disposal is important as only a professional can pinpoint the real cause of the bad odor. If the problem is due to worn out components or drainage problems, the plumber can repair or replace the components, and fix the drainage problems immediately. Getting your garbage disposal unit checked for repair immediately is important to avoid bigger and serious problems. You may have to schedule a plumbing service in Cleveland, GA if you have to press the reset button of your garbage disposal unit every time you have to use it. The need to press the button frequently every time you want to dispose the garbage indicates that there is a problem with your unit. Getting it checked timely will help you understand the real cause of the problem. Usually, this happens when the wiring is insufficient or the garbage disposal is starting to age. The plumber can inspect your unit and determine whether it needs a repair or you may have to replace it completely. Whether your garbage disposal has stopped working, making humming or strange grinding sounds, get in touch with Metro Plumbing, Heating and Air to get your unit inspected for repairs. 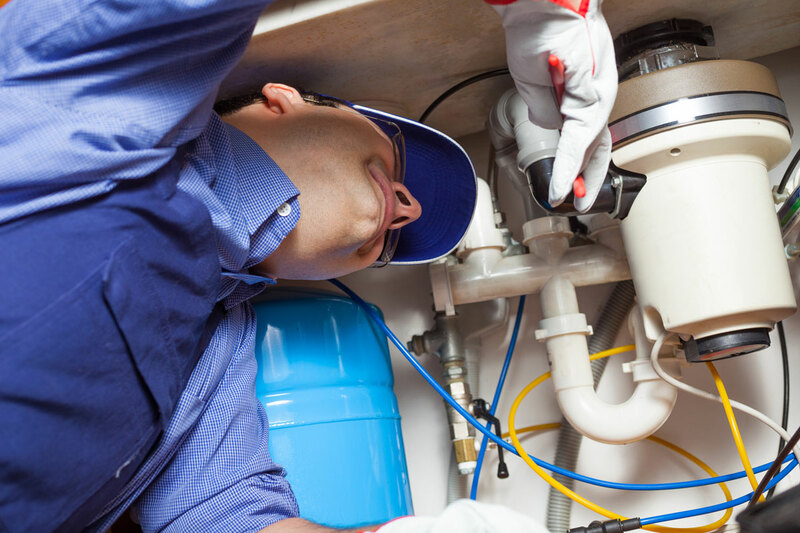 Remember that timely repairs can spare you from costly garbage disposal replacements. Metro Plumbing, Heating and Air is an experienced and a well-reputed plumbing company serving homeowners in Cleveland, GA for more than two decades. They offer a wide range of plumbing services including garbage disposal repairs, that too, at competitive prices.